Heard about the Sitecore Update Center which launched with Sitecore 9 Update 2? Lets have a look at What is it, Why did Sitecore add it and to How to use it? Well, Why did Sitecore add the Sitecore Update Center? For all those who have been a part of any Sitecore Upgrade projects, we all know the pains that we as Developers have to take to upgrade our client’s Sitecore versions. Yes, with recent times, the upgrades had become simpler as compared to previous versions, but still it involved multiple steps to achieve it. We all had in some or the other way talked about this with the Sitecore Product Team, and Sitecore team was well aware of the same. 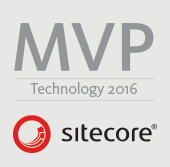 They were researching for an innovative and more effective way to help us all – the Sitecore Community. And here they are with the Sitecore Update Center! What is Sitecore Update Center? So I am sure, we will be able answer this – Sitecore Update Center is the new and innovative way to take care of Sitecore Upgrades which is much simpler and effective. We will use the Update Center provided to us by Sitecore to find, download, install and manage updates and hotfixes for the Sitecore Platform and Sitecore Modules. This as we know, is launched with Sitecore 9 Update 2 – so moving forward, if we need to update our version to Sitecore 9 Update 3 from Update 2 – I believe it would be Super Simple. How to use the Sitecore Update Center? and on the left side, we find 3 things – Updates and Installed Modules and then a button called Install Custom Update. By default, Updates is selected and it has two sections, Sitecore platform updates section and Sitecore module updates section which basically show us the list of available updates from the package management service. The previous screenshot was taken before Sitecore 9.1 was launched, and hence it said, no updates are available. After Sitecore 9.1 was launched, I went back to the Update Center and here it is! In the next post, I am going to Update my Sitecore 9.0.2 to Sitecore 9.1 using the Sitecore Update Center. Moving on, when we select Installed modules, by default, if we haven’t installed any modules, it would be empty. As you know, from my previous post related to Sitecore Update Center I had tried checking this using a couple of modules – Sitecore PowerShell Extensions and Sitecore Experience Accelerator – it shows them in the window for me. I am sure while reading this, you will have a question – from where does our Sitecore instance get the information about updates to Sitecore or any installed modules? Well, with Sitecore 9.0.2 there is a new thing added to support the Update Center called the Package Management Service. This Package Mangement Service has a new Connection String entry added in ConnectionStrings.Config for called the PackageManagementServiceUrl. The Sitecore Update Center uses this URL of the Package Management Service to check for the Sitecore updates. I am also planning to host one for myself soon, so will blog about it when I am done. That’s about it folks. Hope you liked the article. Thank you Sitecore for rewamping the Sitecore Upgrade Process!